How can we guess that a product that hasn’t even been launched yet will have a low price? Well, we reviewed the Allview AllDro tablet here and now we’ve heard of a follow-up, called the AllDro2, detailed by the guys of Mobilissimo.ro. This device will most likely cost a bit more than its predecessor, but it will bring a couple of improvements. For example, the AllDro2 gets a Samsung ARM Cortex A8 1GHz processor, WiFi and a front video camera. Its display sports an 8 inch diagonal and the slate also comes with Flash Player 10.1, HDMI output (Full HD compatible) and a specialized app store from Allview – Aply Store. The slate runs Android 2.2 and will also run games like Farm Story and the famous Angry Birds. Allview AllDro2 uses 4GB of internal memory and up to 32GB of microSD storage. The VGA front camera will enable Skype and Yahoo calls, according to the maker of the future product. Let’s hope for a low price and a decent tablet behavior, without the bugs of the first unit. We’ve recently had the opportunity to review a $200 tablet, the Allview AllDro, a 7 inch resistive screen slate made in Romania. We also unboxed it for you over here. This cheap devices fits in the low end segment, since it runs Android 2.1 and doesn’t even feature a camera. It also lacks 3G connectivity, but at least it packs WiFi and a surprising HDMI out port. You can get 3G to run on this unit by connecting a USB 3G dongle to it and moving on to the specs, the Allview AllDro comes with a 7 inch resistive touchscreen, a stylus, an ARM11 800 MHz CPU and 4GB of internal memory. 256MB of RAM are also on board, in a package that weighs 371 grams. The slate is 11.9mm thick and the screen supports a 800 x 480 pixel resolution. You can add up to 32GB of storage via the card slot at the bottom of the device. What’s strange is the design choice for this unit: the main button under the display is in fact the Home button, while the right side button has two features. Its upper side, when pressed serves as the Home button, while the lower side shows the options in the Android menus. Keep the upper side of the button pressed and you’ll see the apps that are running at that time. A Li-Ion 3400 mAh battery is on board of the AllDro, but it won’t do so well, if you tend to browse the web a lot via WiFi. Also, the device has problems with switching from portrait to landscape view, but at least media playback is not a problem on this gadget. You can also use it as an E-reader or for running the simplest of Android games, downloaded from the Android Market. So, if you want a low end for your kids and to spend a mere $200 on a slate, Allview AllDro could be a good choice, in spite of its frustrating bugs. Product page right here. Sure, you've seen Pocket-lint's very own walkthrough of the HTC Flyer, but there's nothing quite like an official demo video to get the inner geek excited. And that's exactly what we've got now as HTC has gone live with its Flyer material. And, not surprisingly, there's little mention of the Android version on board, (Gingerbread) - there's definitely a Honeycomb shaped Elephant in the room. The HTC Flyer is 7-inch (1024x600) tablet, with a 1.5GHz single core Qualcomm CPU and 1GB of RAM. It has HTC's Sense UI over the OS and you've got the standard two camera setup, front and back, 1.3 and 5-megapixels respectively. We expect the Flyer to, er, fly in next month some time, although official release details are still not confirmed. Acer president and CEO Gianfranco Lanci has parted company with the Taiwanese company after clashing with board members because of "different views". Acer's statement, which says that Acer Chairman J.T. Wang will take charge for an interim period, indicates that Acer wants to shifts its focus back to PCs whilst treading carefully in the emerging mobile and tablet markets. "The personal computer remains the core of our business," said Wang. "We have built up a strong foundation and will continue to expand within, especially in the commercial PC segment. "In addition, we are stepping into the new mobile device market, where we will invest cautiously and aim to become one of the leading players. "In this new ICT industry Acer needs a period of time for adjustment. With the spirit of entrepreneurship, we will face new challenges and look to the future with confidence." The move comes as the Financial Times reports that Acer's share price had plummeted 25 per cent since 28 December. Asus has filled us in with the release details for its Honeycomb hybrid tablet, the Asus Eee Pad Transformer - it'll be hitting next week and will cost you less than ?380. 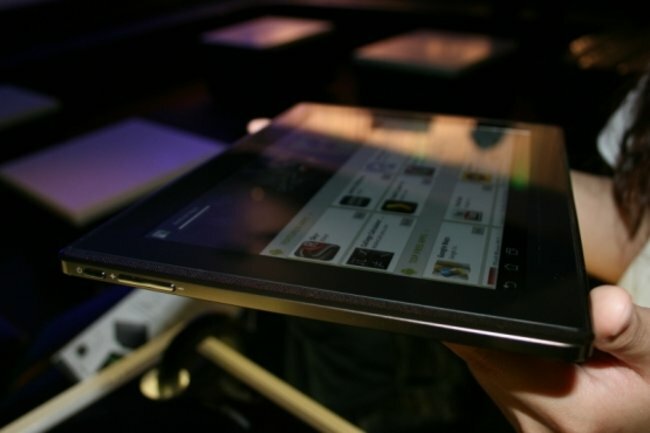 And, despite early concerns, the 10.1-inch tablet will be rocking Android 3.0, with the Taiwanese tech giant staying true to its word that if Honeycomb was available then it would be on board. When Pocket-lint first got some hands-on time with the Transformer over in Vegas at CES it was running an earlier version of Android but at the official launch event in London on Wednesday, we had some playtime with a device running Android 3.0. And it was everything we expected and more. Well, maybe not more, but Honeycomb certainly doesn't leave you wanting - it really is Android tablet friendly for the first time. 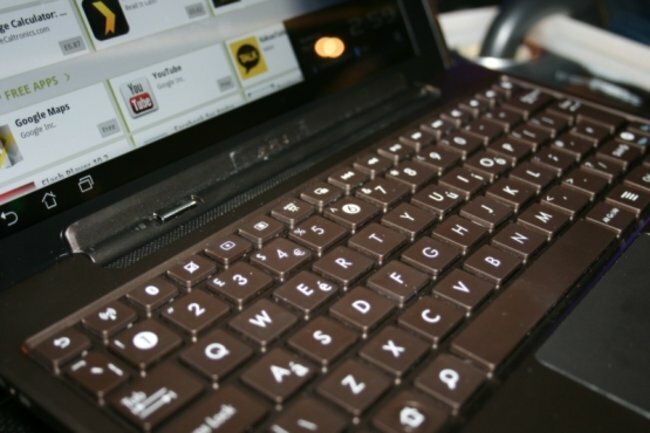 And the Transformer also has the unique (from a Honeycomb point of view at least) option of becoming a notebook like machine when docked into the fully functional keyboard. What's more, the keyboard has its own battery and can charge the tablet when its power is running low - giving you up to a whopping 16 hours of total battery time. The back of the tablet features a non-slip lid and the Corning Gorilla glass should help to see that your screen is never scratched by the keys when closed up. Plus, it's packing 1GB of RAM and an Nvidia Tegra 2 dual core processor and has no issues playing back 1080p footage - you can even out this to your TV using the HDMI port. There's front and rear facing cameras (1.2-megapixel and 5-megapixel) and it also boasts 3D stereo SRS sound. For storage you're looking at a 16GB or 32GB options. For the price (?379 for the 16GB version, ?429 for the 32GB one and ?50 for the keyboard dock) the Eee Pad Transformer has a good shot at making a good impression in the ever expanding tablet arena. Especially with the docking and folding option, which may be enough to convince some tablet doubters. It's out on 6 April - pre-orders on Amazon and Ebuyer are live now. Acer Iconia A100, A500, A501 and W500 Slates Ready for UK Launch; Avalanche of Acer Tablets! Acer is preparing quite an offensive on the UK side, with a bunch of tablet models ready for the British folks. These include the Acer Iconia A100, A500, A501 and W500. In the following lines you can learn more about the pricing and versions offered by the local retailers. These include Amazon, Comet, John Lewis, HMV and Harrods. Acer Iconia A100 is a 7 inch slate that will be available in a WiFi-only version, for 329 pounds and scheduled to debut in May. This is a dual core Tegra 2 device, with Android 3.0 Honeycomb and its 3G version will debut a month later, for an extra 100 pounds. Next up is the Iconia A500, a 10 inch Honeycomb slate, with a debut date scheduled for April 8. The WiFi one comes first, with a 449 pound price tag, followed by the 3G one, with 549 pounds as the price and branded Acer Iconia A501. Windows 8 Shipping to PC Builders; Ready for a New Generation of Tablets? We’ve been hearing quite a bunch of details concerning Windows 8 over the past months, with its focus on tablets and all. Thus, it doesn’t surprise us that the OS has just started shipping to PC builders, courtesy of Microsoft. This process takes place via the Connect internal testing system, known as the “Windows 8 and Server vNext Pre-Release Program”. Windows 8 is supposed to feature a fully dynamic 3D UI, allowing the OS to adapt to the user’s habits and increase the efficiency of interactions. There’s also a rumor concerning “fast hibernation”, a feature that that will place the system in a saved state in 3 to 6 seconds. Continuing the rumor list, Win 8 could include a “Mosh” tile-based UI, inspired by the Metro interface found on Windows Phone handsets. We could see a beta of this platform in September, but recent rumors have placed a showcasing of Win 8 on tablets in June. Lenovo CEO Yang Yuanqing amazed everyone at the Chinese IT Leadership Summit, by announcing the next generation of LePad slates. Apparently, they’ll be coming in September or October and they will be slimmer than the first gen devices. The time frame between the launch of the first LePad and the second is very small, considering that the original device got delayed a lot. The first Lenovo slate is pictured above and it’s still waiting for a global launch, as we’re writing this. Said launch will come in June, so we expect the second LePad to reach the international market at least 6 months later. No info on the specs of the new Lenovo tablet were given, so we can only suppose it’s a dual core unit with Honeycomb on board, if it wants to compete with the most modern units out there. Dual screens are all the rage right now, with the Acer Iconia dual screen Touchbook actually having a chance at making it big, in spite of the huge price. We’re talking $1200 here, plux taxes, that bring you the specs below in a single package. Acer is selling the Touchbook via Amazon, so you can pre-order it in the US and Canada right now. The device weighs 2.8 kg and comes with Windows 7 Home Premium as the main OS. There’s also a hands on tutorial for the device below and in case you’re wondering, one of its screens can indeed be used a virtual touch keyboard. Amazon has been purchasing a couple of domain names recently and they seem to be fond of the term Scratchpad, possibly meaning that they could be preparing a mysterious tablet. The list of domains includes AmazonScratchPad.com and a couple of other similar related terms. There’s also a post on Fusible about the device and references to MWS, meaning that the Amazon Marketplace Web Service is also involved. Developers could already know the Scratchpad tools, which are used to test APIs. An Amazon tablet has been mentioned by the press for some time, with supporting info related to the recent Android Appstore revealed by the online retailer. Also, Amazon’s Lab126 has been posting careers for people with Android experience, especially engineers with LCD expertise. Amazon to Acquire Netflix; Transaction Related to Apple Tablet Launch?